My husband and I love going to Orioles games at Camden Yards here in Baltimore. There have been plenty of games that we've gone to on mommy/daddy date nights, but we also enjoy bringing the little guys to the games. On their best days, preschoolers can sometimes be a handful so it's always a good idea to have a plan when heading out on an adventure with them. Food - With so many snacks and sweet treats, it's easy for kids to go overboard on cotton candy and ice cream. Try talking with your child before you even leave the house about the plan for food. If they are going to be allowed to have one snack after they finish their lunch, tell them that and then they'll be less likely to ask over and over again at the stadium. You can also check your stadium's policy on bringing food into the stadium. Brody is a really picky eater so we're lucky that Oriole Park lets you bring in food to the stadium. Packing Brody his granola bars, goldfish, fruit and veggie pouches, and other favorites not only ensures that he has something to eat that he'll enjoy, but also saves money. 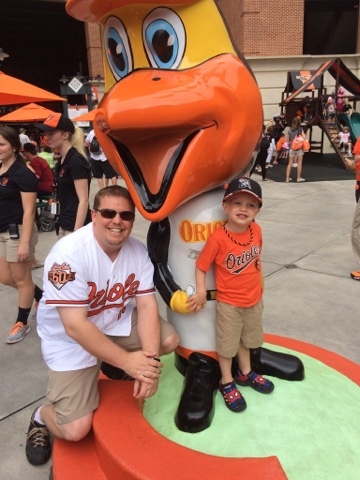 Souvenirs - Whether it's a stuffed Oriole bird, a baseball bat, or a foam finger, souvenirs are everywhere around the stadium and little kids will flock to them like the seagulls in Finding Nemo saying "Mine! Mine! Mine!" Again, I've found the best strategy to talk to Brody about a souvenir before we leave the house. You can even give them their own money to be responsible for and then they get to pick whichever souvenir they want that fits in that budget. You may be able to avoid the whole souvenir argument all together if you're able to pair up your game with a giveaway where your child will already feel like they're walking away with something just for entering the gates. Take Breaks - Nine innings can be a long time for an adult attention span, but it's brutal for a preschooler. 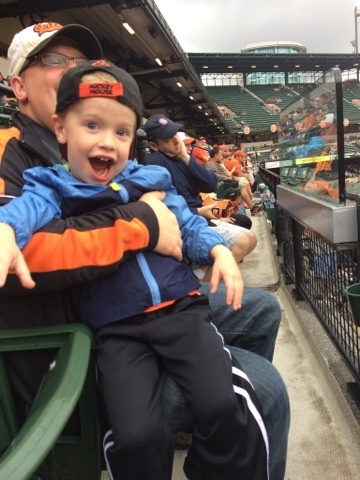 Check out if your local ballpark has a play area for kids. 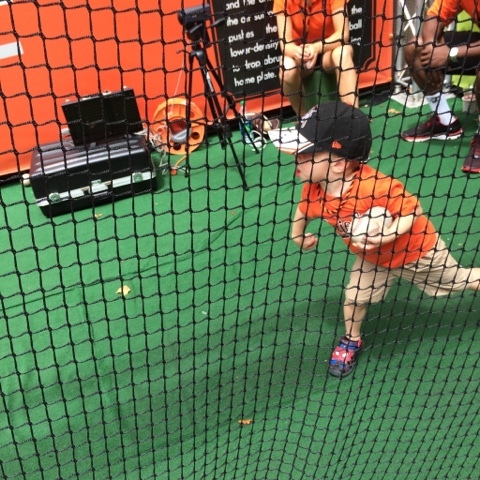 Camden Yards features a play area with sliding boards and climbing equipment as well as a spot to throw and hit like a big leaguer. Brody loves going here to play during the game, but we also don't want to spend our whole game watching little kids play on the playground. When we're at the game with Brody, we again set up a schedule ahead of time and communicate a plan to him. After the first three innings, mommy will take him down for a play break. Then during the seventh inning, daddy will take him down to play. Preschoolers thrive on routine and knowing what to expect. A baseball game is definitely a break from the norm of their daily lives so prepare them ahead of time as much as you can with what to expect so that they'll be ready to enjoy a fun-filled day!